DC’s history with EDM, electronic dance music, has mostly ranged from deep & soulful house music (Sunday nights with Sam The Man Burns) to aggressive and atmospheric drum n bass. The dark, repetitive, sometimes minimal stylings of techno have ferociously devoted adherents but remains mostly underground. Recently U Street Music Hall has devoted more deck time to techno, and the mysterious producer PENTAMON is cranking out new tracks to worldwide acclaim. 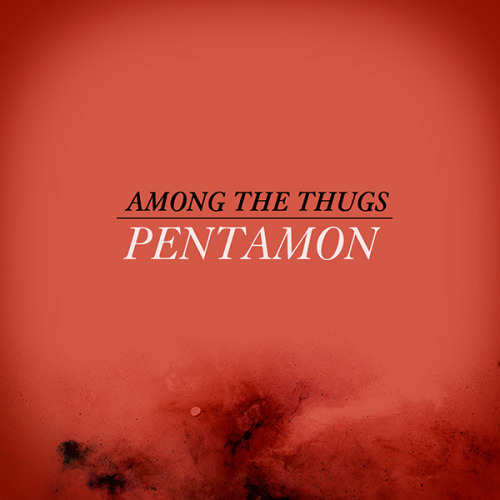 The initial PENTAMON release Nite from earlier this year is now joined by a two song EP called Among The Thugs, released today on Teenage Riot Records. The title track brings peak time dance floor power, while the b side Skywarp simmers with growling basslines and a repetitive “belch” synth. Mark your calendar for Saturday September 7th when PENTAMON works his dark magic at the 9:30 Club Backbar with special guests Sami Y and Pat Jagla. If you don’t already know PENTAMON’s hidden identity, a quick spin around Google easily reveals it, but wouldn’t it be more fun to enjoy the surprise? DC, do you need some DJ mixes to get you through the afternoon? Good, cuz here are a couple of local gems for your streaming pleasure. In case you missed the tribute to DC mix that LA transplants Nadastrom put together for the BBC Radio show Diplo & Friends back in February, the hour long set featuring tunes from locals & expats Tittsworth, Fugazi, Doug Lazy, Oddisee, Deep Dish and lots more is now streaming on SoundCloud. U Street Music Hall owner and Volta Bureau employee Will Eastman, under his new solo moniker Pentamon, put together a nice mix for the Baltimore music blog More Or Less’s mix series MOLCAST. This DJ mix devoted to techno parallels the new Saturday night vibe at U Hall. Enjoy!